The broccoli-obsessed chef Tyler Kord opened his No. 7 Veggie pop-up at UrbanSpace Vanderbilt with a lofty goal in mind — an unavoidable consequence, he says, of an Oberlin education. 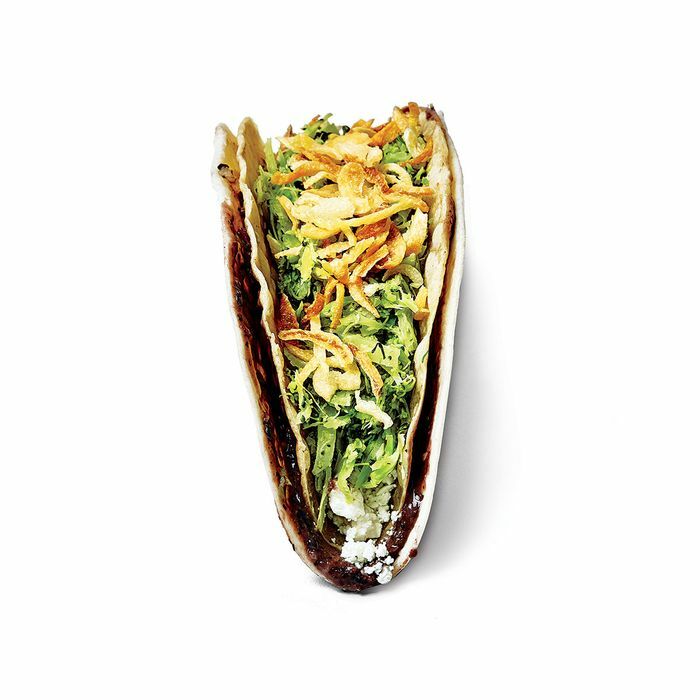 “If I can get people to eat less meat, then I have done the world a huge service.” The greatest achievement of this brand expansion, though, might be the bigger midtown stage it’s afforded Kord’s ingenious broccoli taco. The menu mainstay at his No. 7 restaurant proper in Fort Greene is an architecturally advanced, multitextured marvel inspired by none other than Taco Bell. So if Kord realizes his plan to spin off more No. 7 Veggies, making the world a better, broccoli-friendlier place, you can thank the fast-food megachain too.